Corrugated mailers are super strong yet light-weight to save on postage. These one-piece mailers fold together in seconds without tape, glue or staples. Perfect for shipping smaller, light-weight or fragile items. 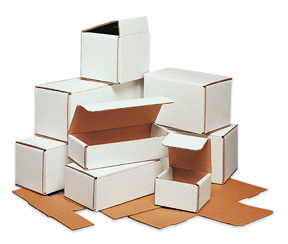 Corrugated mailers are manufactured from 200#/ECT32B oyster white corrugated. Dimensions noted above are inside dimensions.